AFTER months of uncertainty, Bec and Nicole Giles finally got the news they'd been hoping for - that they'd won Family Food Fight. 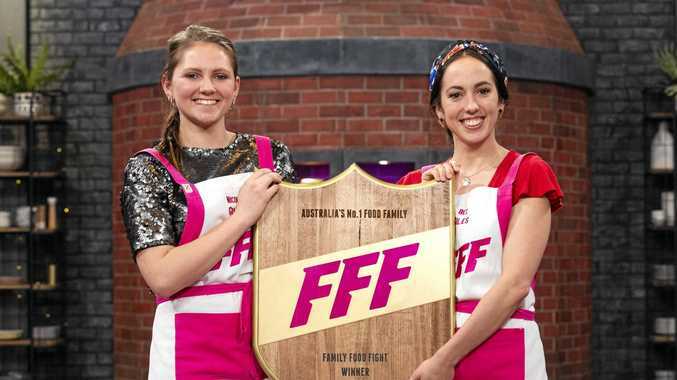 The Sunshine Coast-raised sisters competed in the reality cooking show's grand final several months ago, but two endings were filmed to ensure the result wasn't leaked ahead of tonight's finale going to air. The same strategy is used by the producers of My Kitchen Rules so that contestants don't accidentally let any major spoilers slip during interviews. 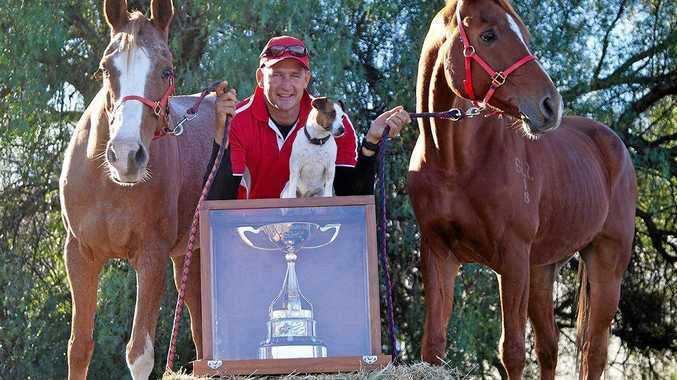 "We're not ones to count our chickens too soon and we didn't want to get too excited," Bec told the Daily. "We've only just mopped up the tears. This is the first time we've allowed ourselves to think about what's next." Bec, 30, and Nicole, 21, plan to use some of their $100,000 grand prize to thank their family, who were cheering them on from the sidelines in the closely-contested final. "We want to take them on a holiday," Bec said. "And we also want a future in food." Bec will spent Christmas on the Coast before moving to Melbourne in the New Year to work with her sister. "Living apart has been hard for us after we spent so much time together during the competition," she said. "There are heaps of things in the pipeline and now that we've won we're going to look at where we have the best opportunities." The sisters will keep fans updated on their future projects via their Instagram page, @thegilessisters.